​Many bands and musicians after toiling away on the gig circuit are likely to get their first taste of “success” by being offered a management deal. Having booked your own gigs and public appearances you are naturally going to be more than happy to get such a deal. There is no doubt that having management and PR should be considered as a stepping stone. But it is very important to be aware of the consequences of being tied to a management deal. It sounds obvious but you must find out as much as you can about potential managers- How long they have been in business? What type of artists do they already have? How have they helped them so far? (getting in touch with artists on their books is vital). Once you are satisfied that they might be right for you then you can look at the deal. ​So, it is very important to discuss these issues with fellow band members or musicians before you sign anything or even look at a contract. Most management deals will involve the Management Company having the sole and exclusive right to exploit you as a band/artist. Among many things, this means that only they can book your gigs and arrange promotional events. This can suit some acts but if you have been booking your own gigs then you may want to continue to do this. Otherwise you could lose local support if you are seen to turn your back on the places that gave you your first break. Therefore, you would want to insert a clause that allows you to carry on making bookings. Importantly the management company should not be able to claim a commission on these bookings. The length of term in any contract is always important and very much subject to negotiation. Flexibility is the key here and all term lengths should be reflective of what the offering party is planning to do with the artist. Recently I’ve found that term lengths have shortened as they become more project specific. This suits both parties and is always recommended. So, the key to assessing whether a deal is right for you is to have an open mind and test the waters as much as possible. Over the years I have analysed contracts that seem very forward thinking and beneficial to the artist. Once reality sets in though, certain complications can arise that a contract simply can't cover. Communication is key and there must be a clear, regular dialogue between the artist and the manager and their team. The nature of the music industry means that nothing is guaranteed and risks have to be taken. The rewards though can be endless. How Can You Protect Your Songs? The procedures for copyright protection in the U.K. are far less straightforward as there is no official register that is approved by English law. There is no central copyright index, or forms to fill in. A composer secures copyright automatically as a direct result of his having created a new work. It must, however, be original. If you copy or adapt someone else's song without permission, in whole or part, you will not acquire any copyright of your own. Instead this would be seen as an infringement and the original copyright owner will be able to take legal action against you. Without an official register it may be less costly to own your copyright but it also gives more opportunity to those that may want to use a song illegally. A situation can arise in which more people could claim that a song is owned by them and even attempt to use or adapt that song for their own purposes. I have had clients who have heard a song on the radio or in a record shop and have recognised either a riff or a part that is incredibly familiar. If they can prove that it was originally produced by them then they will have a potential case and will be able to take further action, no matter how small the part was. The problems begin though when you have to ask yourself whether it is a genuine composition that is simply exactly the same as another track or whether it is an actual direct infringement. -Posting copies of your work to yourselves in a sealed registered envelope obtaining a stamped dated post office receipt, and keeping the unopened envelope and receipt in a safe place in case it's ever required for proof. -Depositing a copy of your work with a lawyer, accountant or other reputable professional in return for a dated receipt. These measures are helpful in recording that the work was in existence on a particular date, but they are not a guarantee of copyright ownership as they are always open to possible tampering or copying. What Does Copyright Protection Provide? - make an adaptation of it. 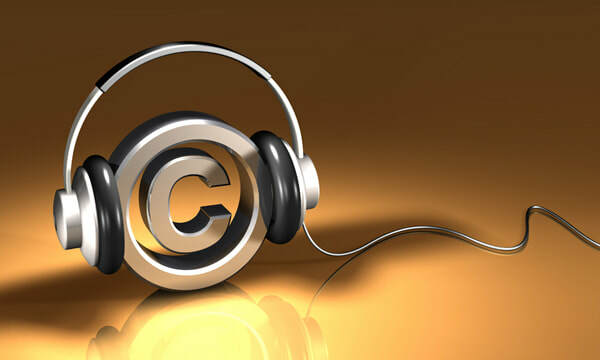 There is no doubt that understanding your copyright position will go a long way to helping you understand any music contracts that you might be offered. When being advised on a recording deal you will have a much clearer picture of why a record company or publishing house demand that you assign certain rights to them. ​This will allow you to be fully aware of your rights throughout the contract period and to know what those rights mean and how they are being used. You don’t need to understand all aspects of a contract but I have found that giving artists some extra knowledge is likely to put off less genuine companies from offering you an unfair or unacceptable deal. Spam Contracts - What Are They? ​Recently I have found that many of my clients are coming to me with a new breed of contract offer usually received from outside the U.K.
Having analysed them I have decided to now refer to such deals as Spam contracts. Firstly, they are usually titled Non-Exclusive Song Placement Agreements. The main terms are often brief and place no or little obligations on the company to do anything with the music. This is not good and immediately implies that they are simply trying to boost their catalogues and roster of songs to attract investment for example. Secondly such agreements are mainly offered via a band’s social network profiles. 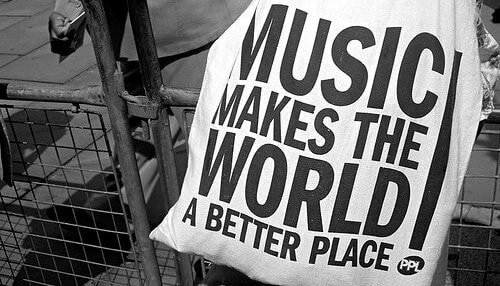 A Band will more than likely receive an email stating that the company has listened to their music and really like what they heard. The email will usually be accompanied by a contract offer there and then. Thirdly and most importantly the non-exclusive element can be used as a smokescreen to induce the band to sign without getting legal advice. Just because the heading states non-exclusive does NOT mean it is. For example, I have seen such deals that assign an exclusive publishing share if a song is placed! So, what to do if you receive such a deal? Well despite what I have said above do not ignore it! Check out the Company and find out what you can about them. Then reply to them asking for more info and a brief rundown of what they think they can do for you. Most importantly though. Don’t sign the agreement! If you get a response that is positive, then it will be worth getting the agreement looked at by myself or someone equally as qualified. You may find that despite the spam element there is worth in the offer but only after you have received proper advice. Over 15 years experience of representing artists, labels and other music related companies.